I have an obsession with all foods loaded. Loaded Potato Skins, Loaded Nachos, Loaded Baked Potato Soup etc...well, you get the idea. Well, why not continue to feed my obsession with Loaded BBQ Chicken Enchiladas. These were one of the best enchiladas I have ever made. My toddler even gobbled them up. You have go to make them for yourself and see how delicious they are! In a large bowl combine chicken, seasoning, bacon, bbq sauce, green chilies, and one cup of the shredded cheese and stir until fully combined. In the bottom of a casserole dish spread one spoonful of enchilada sauce. Divide filling evenly among flour tortillas and roll up. Place seam-side down in the casserole dish, and pour the remaining sauce over the top of the enchiladas. Sprinkle with the remaining cheese. Bake, uncovered, for 15 to 20 minutes or until browned and bubbly. Top with sliced green onions. Enjoy! This looks yummy and simple to prepare. Thanks for sharing! Found you at Tasty Tuesdays. I am stopping by from the weekend retreat link party, I had to say this is a neat idea! 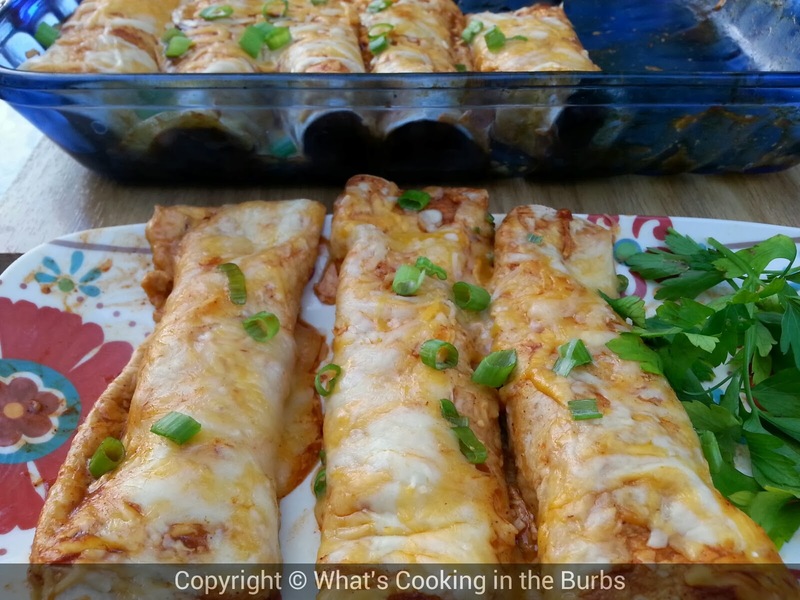 We are going to love your BBQ Chicken Enchiladas, this is our kind of food. Thank you so much for sharing with Full Plate Thursday and hope your weekend was great! Love that these are "Loaded". Yum! Thanks for sharing at Foodtastic Friday! Adding to Top 15 from Foodtastic Friday!